It is not as hard as you may think, reading a poem. Maybe you came to this page because you are searching for the elusive answer. Maybe you have found your way to poetry and are curious to see how I intend to show reading a poem via this blog post. 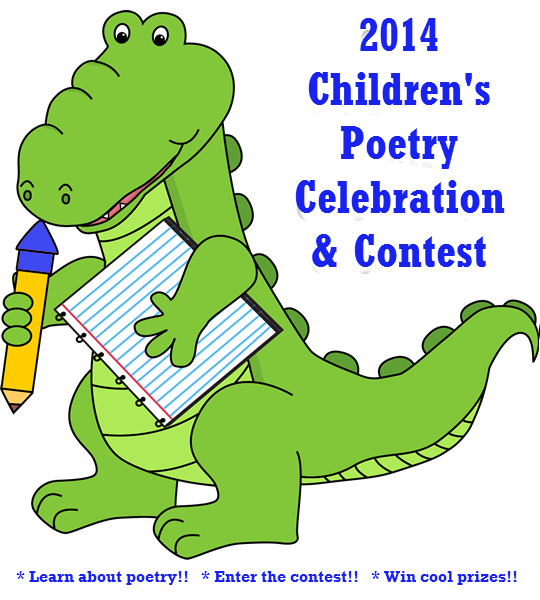 Or maybe you are here to join in the 2014 Poetry Celebration and Contest! No matter how you got here, this is what I want you to remember: I cannot “teach” you to read poetry in a single blog post, because there is no right way to read a poem. I believe one of the most important things a teacher or parent can do is instill a love of learning into poems. How do you read a poem? You start with enjoying it. One of the most popular American poets is former poet Laureate, Billy Collins. Collins writes image-rich poetry that speaks of the human condition. Many of his poems are incredibly accessible to the most unfamiliar readers of poetry. I believe his poems would be perfect for upper elementary school children as well. In “Introduction to Poetry,” Collins presents how he tries to teach youth to read poetry. I love his images. How can we stop beating poetry with a hose? How can we read poetry as Billy Collins suggests? Read it to enjoy it. Or, just float on the surface of the words, recognizing the author in them as you enjoy the ride. There are many meanings. There are many emotions. The point of poetry is to relate and enjoy. When we read a poem, it’s okay to feel like we are in a dark room, feeling for the light switch. Reading poetry is gentle and non-violent. It’s not a torture session. Need some more poignant poems to get you started? Below are some other poems by Billy Collins that may be just right for young student (upper elementary school and older). “China” describes a scene that kids can recognize: an ant in a dish on the table. Although I have not read this with my students yet, I love the perspective from the ant. There is much to enjoy in this poem too. I hope as you read these poems, you will better understand how to approach a poem with excitement. I hope the kids you work with will enjoy learning how to read a poem for the rest of their lives. Did I answer the “how to read a poem” question for you? I don’t know if you will feel satisfied. You may still have the urge to tie it up in a chair, begging it for a confession of what it actually means. But try to remember that that is not how to read a poem (and enjoy it). Hold it up to the light to see what the poem in your hands is saying to you right now. It’s a start, and I promise if you let it, reading poetry will be a lot of fun!